I read this via The Pigeonhole app. This is how to do a chilling thriller well! The story of The Flower Girls - Laurel and Primrose - is a brutal and gripping tale of 2 young girls and how a shocking incident when they were 10 and 6 has shaped their lives, and the lives of those around them. 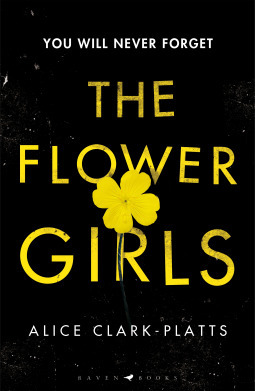 A 2 year old girl is found murdered, and The Flower Girls hit the headlines when Laurel, aged 10, is convicted of her murder, and her younger sister Rose is too young to face prosecution but has no recollection of just what happened that day. This book looks back at the story through their eyes, then and now, along with the perspectives of detectives, the family of the murdered young girl, and a writer who is caught up in the latest scandal to hit the headlines. Having these different viewpoints really helped me get a stronger feeling towards this story and the author did a wonderful job of putting doubts in your mind over a number of characters, and to what really happened back then and at the current time when another young girl goes missing from a hotel. This story has obvious links to the horrific case of poor young Jamie Bulger, and I did find it quite unsettling at times with the similarities, but with this book it turned into a wider look at circumstances, the impact on the family who lost their child so brutally and to question the validity of what was believed to have happened then and now. There were twists and turns galore throughout this book - I often thought I had events sussed out but then another doubt was raised and my mind was changed once more and that made for a more riveting read.